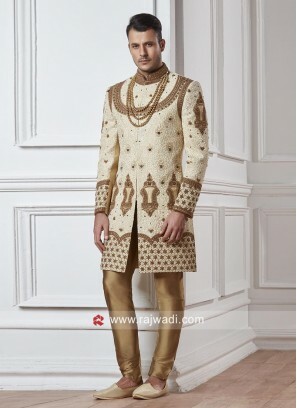 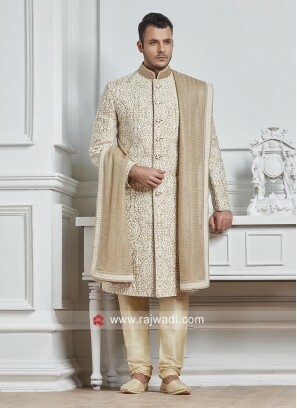 Cream Art Silk Sherwani For We..
Zardozi and Pearl Work Sherwan.. 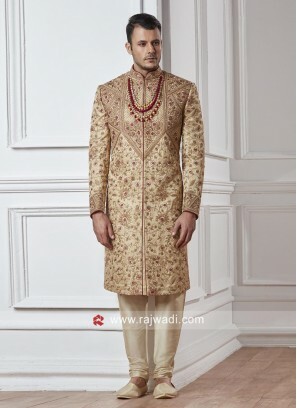 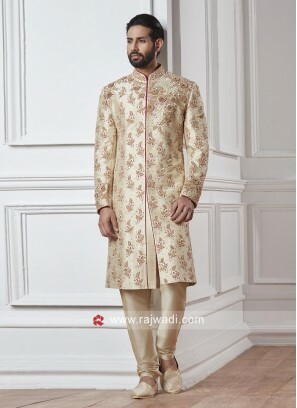 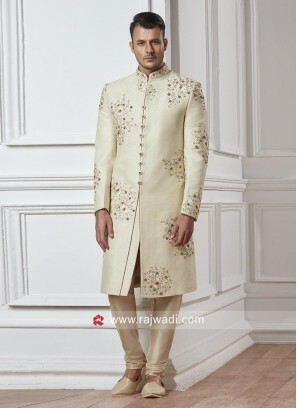 Silk Groom Sherwani with Zardo.. 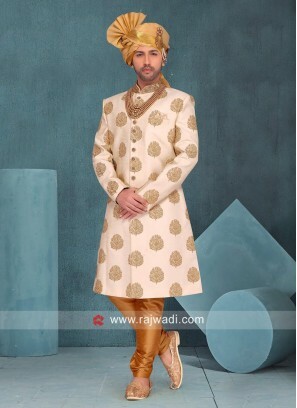 Attractive Groom Peach Color S..
Anarkali Style Silk Fabric She.. 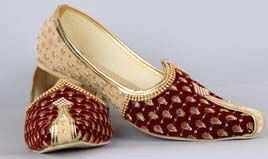 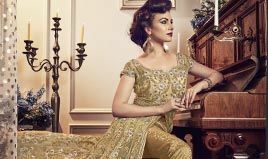 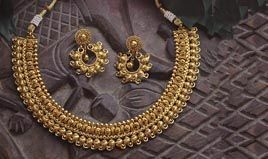 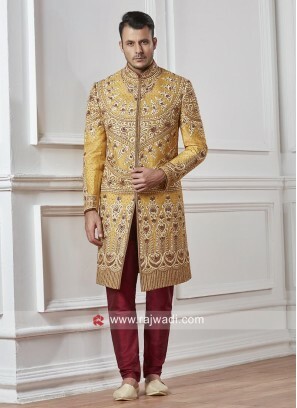 Stylish Groom Yellow Color She..
Golden Cream Zardozi Work Sher.. 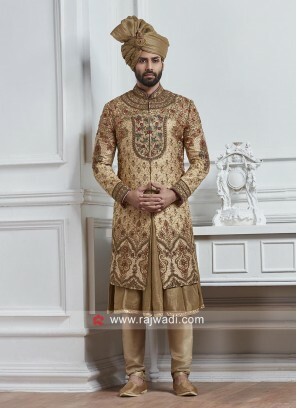 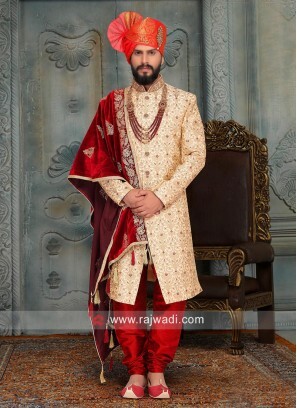 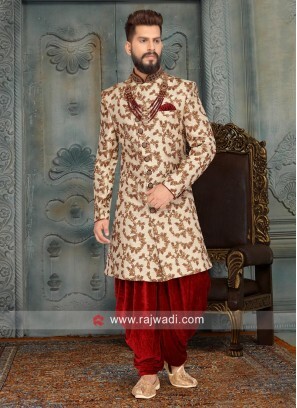 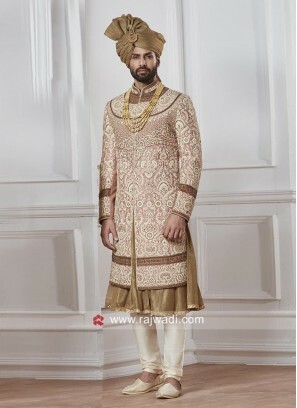 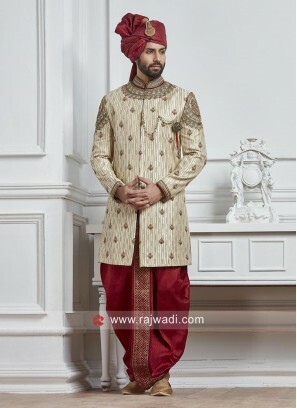 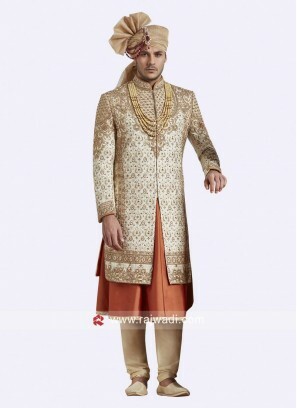 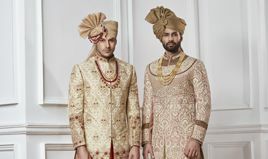 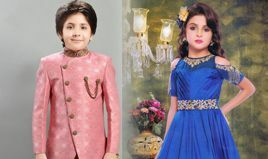 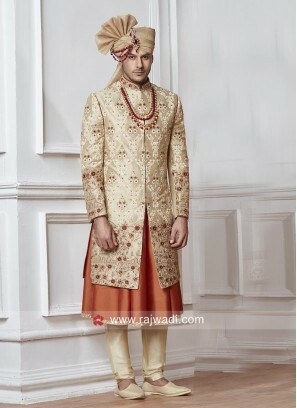 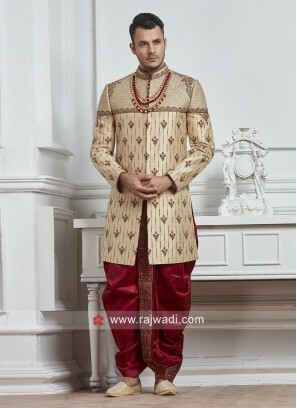 Designer Groom Sherwani In Gol..
Resham and Zari Work Sherwani ..
Groom Golden Sherwani With Dup..